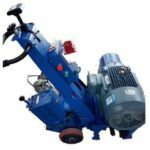 Rebar bending machine is mainly used to process all kinds of common carbon steel and rebar into various geometric shapes required by engineering, which can be said to be the indispensable reinforcing steel processing machinery in construction engineering. 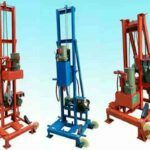 The rebar bending machine for sale in our factory can bend the round steel bars with the diameter of 6 to 50mm and rebar with a diameter of 6 to 40mm into various shapes required for bridges and construction projects. 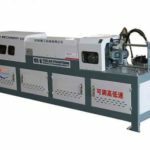 In addition, our steel bar bending machine also has the characteristics of simple structure, reliable quality and easy operation, which makes the steel bar bender produced by us popular with operators. 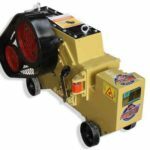 If you are looking for a machine like this, please contact us now, we will be your ideal choice. Its working mechanism is a horizontal working disk rotating on a vertical axis. 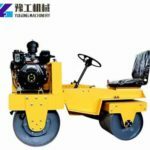 The steel bar is placed in the middle position, the pin shaft is fixed on the machine tool, the center pin shaft and bending pin shaft are installed on the working disc, the steel bar is bent when the disk turns. 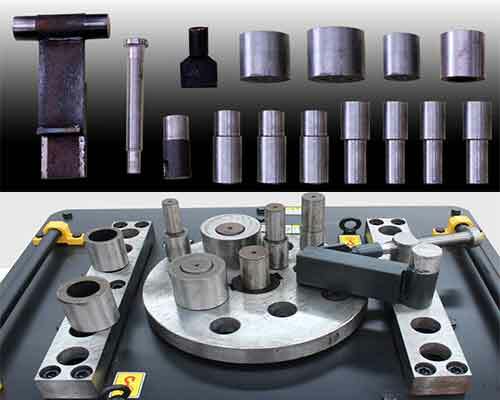 In order to bend the steel bar of all kinds of diameters, there are several holes on the working plate to insert and press the bending pin shaft, which can be replaced with the center pin shaft of different diameters accordingly. 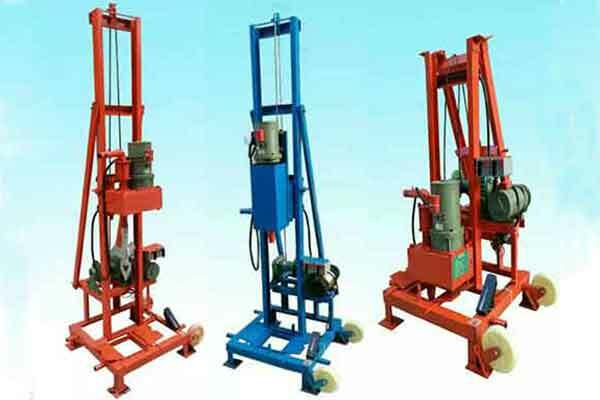 The new rebar bending machine manufactured in our company includes reducer, pinion and bending disk surface. The two-stage braking motor and the reducer are directly connected to make the first-stage deceleration, as the pinion gear meshes with large gears for secondary deceleration. The large gear always drives the curved disk surface to rotate. 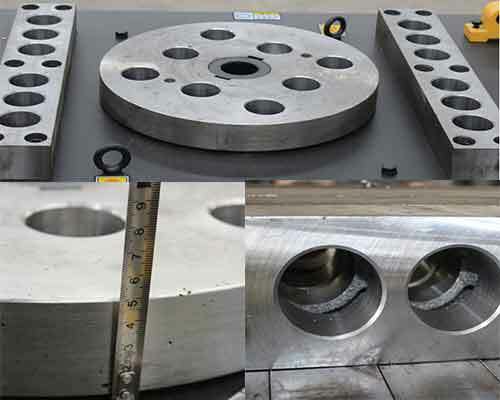 The curved disk surface is provided with a central shaft hole and a plurality of curved shaft holes and the positioning square bars of the work surface are respectively provided with a plurality of positioning shaft holes. 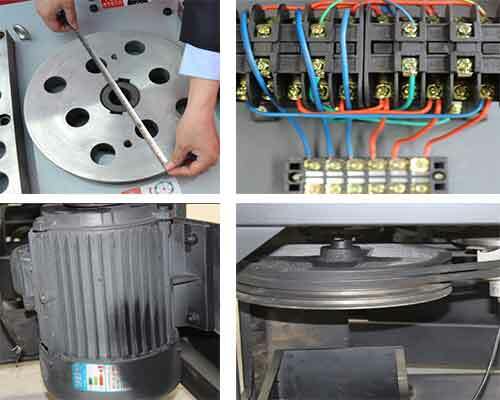 Since the two-stage brake motor and the reducer are directly connected for one-stage deceleration, the input and output revolution rations are accurate. 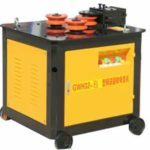 The bending speed is stable and accurate, the electric automatic control can be used to change the speed and the brake can ensure the bending angle. Meanwhile, using the positive and negative of the motor, the steel bar can be bent in both directions. 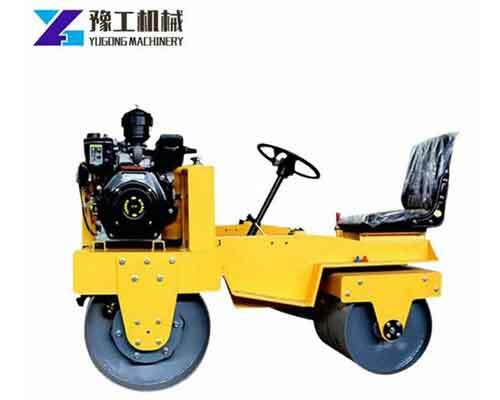 The center shaft can be replaced which can make it easy to maintain. 1.More user-friendly and convenient design. There are four wheels at the bottom corners of the machine, which makes it easy to move. 2.Full solid precision steel disc. 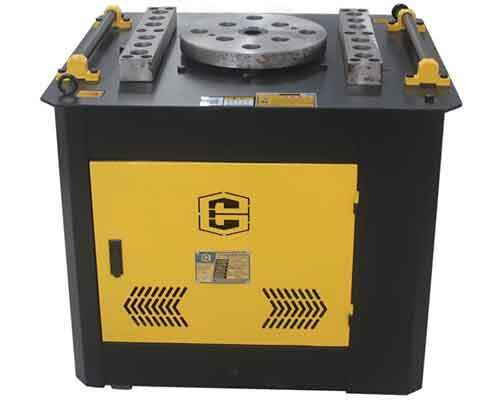 The disc is made of fine steel, which makes it more durable and the working efficiency higher. 3.All fine steel accessories. 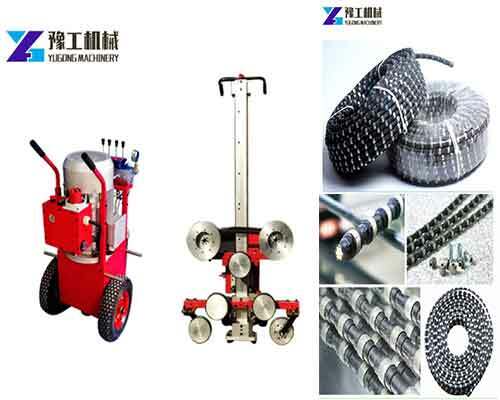 The machine is equipped with fifteen accessories, which are all made of fine steel.